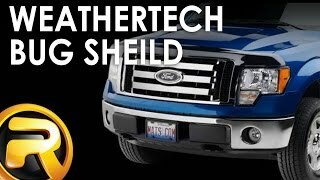 WeatherTech bug shields are made from aerospace acrylic. This means that not only are they highly impact resistant to stones, road dirt, and insect, but they are also scratch resistant. This makes them last as long (or longer) than your vehicle. How's that for a lifelong upgrade? 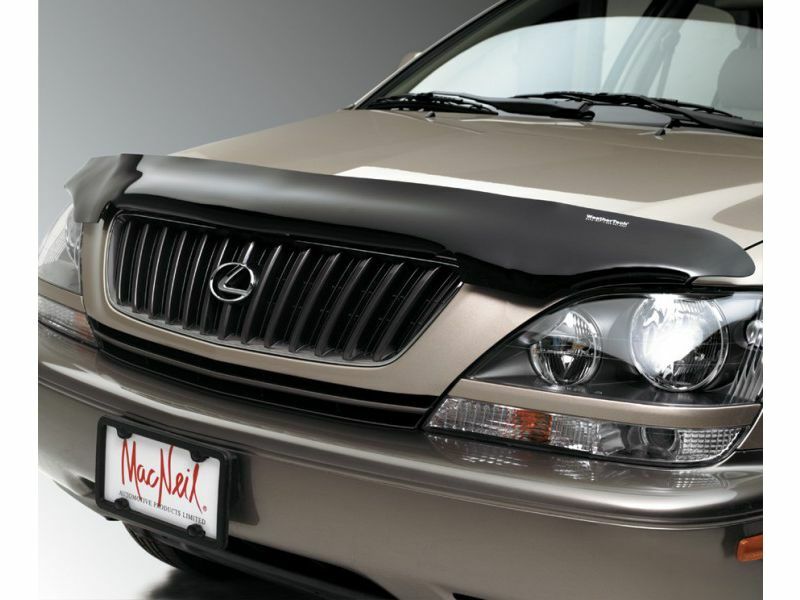 A stone and bug deflector from WeatherTech give you the sleek and modern style you're looking for on your ride while also cutting down on the number of bugs that hit your windshield and hood. Can't beat that! This particular shield is a low profile design, which means you get the same amount of protection and style with higher profile bug guards, but with less material. Mounting is an easy no-drill application. Depending on the application model, you will receive either 3M tape or fasteners, for a fast and easy install. Cleaning is easy and simple due to the design. All shields are custom made to fit the year, make, and model of your vehicle. WeatherTech offers a three year warranty on their bug shields. The WeatherTech bug shields offer an easy installation. They are installed by using either the included 3M tape, or by using fasteners that mount into existing holes in your hood. There is an installation manual that is sent with this product which offers clear cut and easy to read instructions. For additional information please call us at 1-877-216-5446 or 701-253-5906.